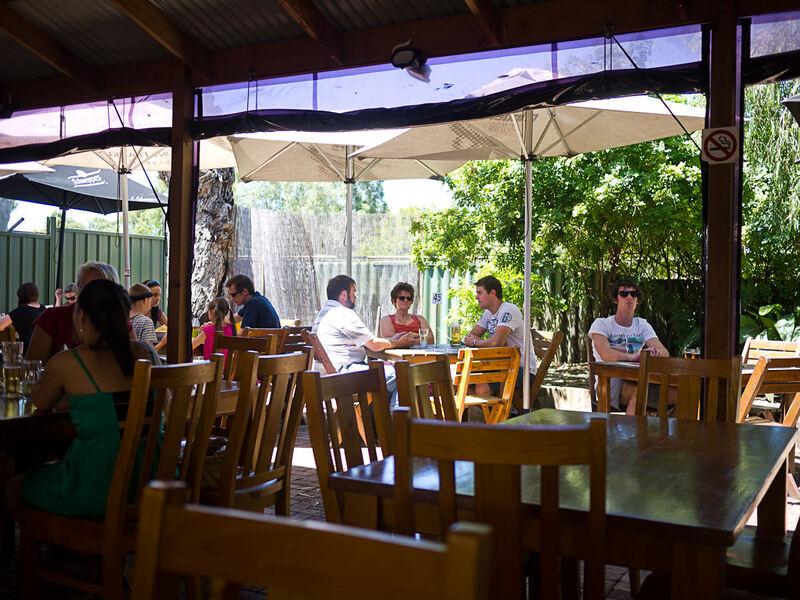 The Swan Valley is 25 minutes drive from the Perth CBD, a fantastic destination for those who relish good food and drink. 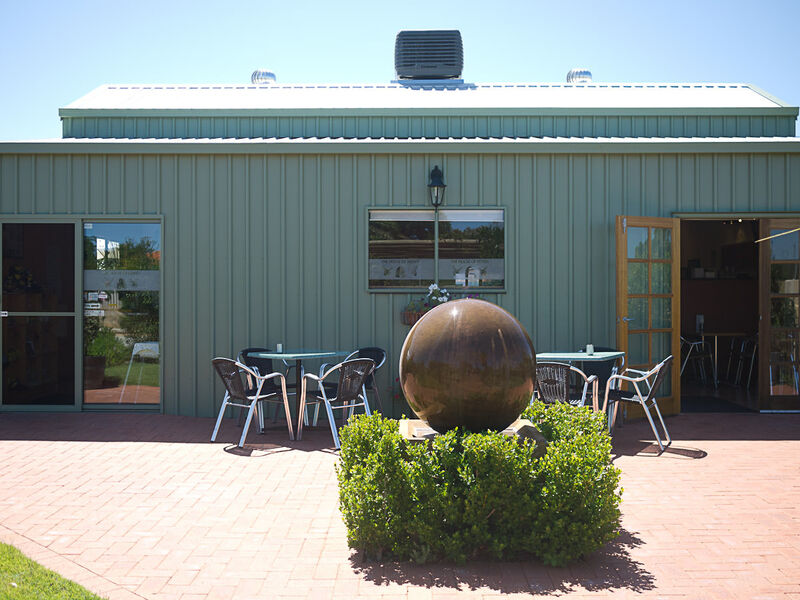 It is Western Australia’s oldest wine growing region and home to many wineries, breweries, restaurants and food producers. When our Sydney friends Craig and Caroline came to visit, Jac and I took them out for a Sunday drive to the Valley. 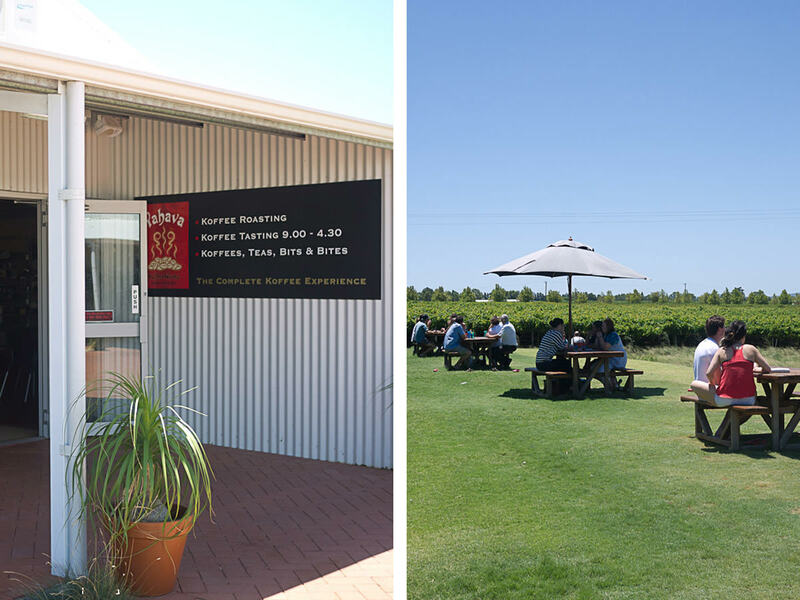 We followed the Swan Valley Food and Wine Trail (1.51MB PDF), a 32-km loop that takes in over 150 attractions including food producers, restaurants and cafes, wineries, distilleries and breweries and more. Along the way, we passed homes and roadside market stalls selling freshly picked homegrown fruit and vegetables. 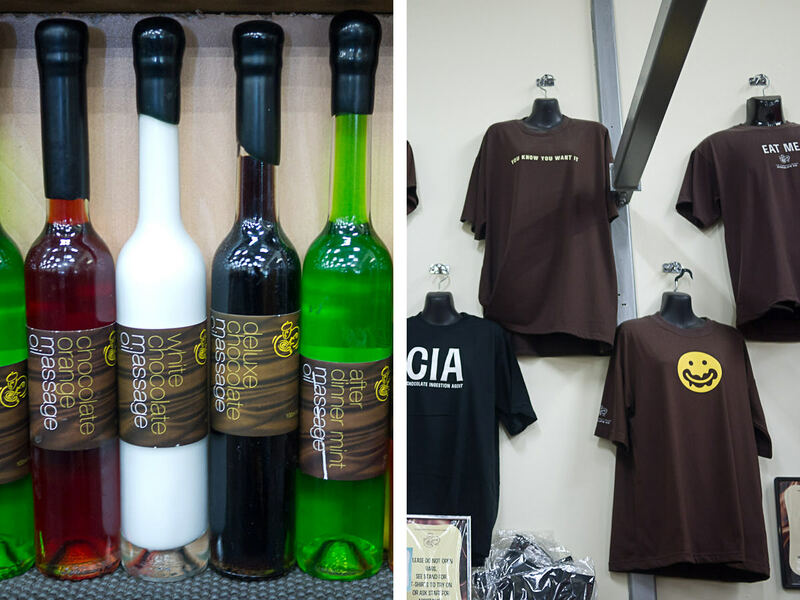 We’re not into wine, so we didn’t stop for wine tastings, but we found plenty to enjoy along the trail. 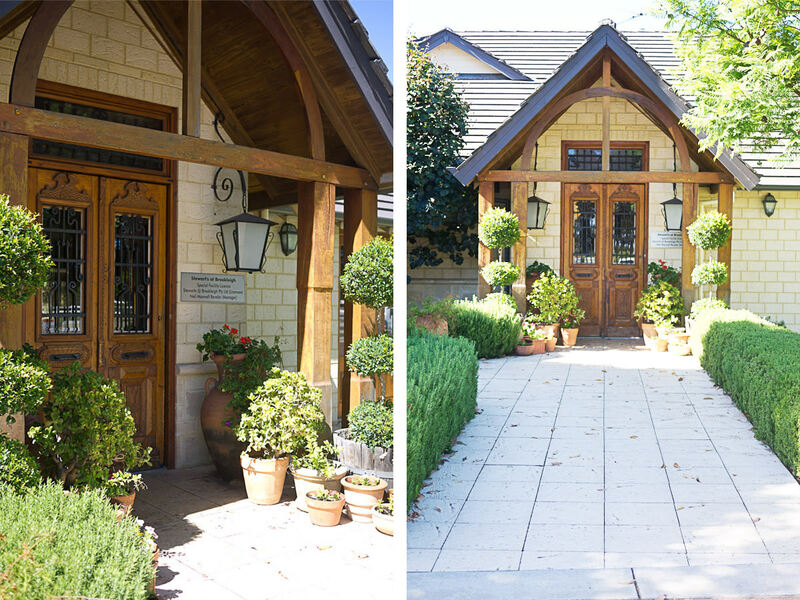 Brookleigh is a picturesque property featuring Stewart’s Restaurant, Brookleigh Equestrian Centre, a function centre, health and spa retreats, and luxury and budget accommodation options. The restaurant front door resembles double doors but it swings out as a single door. We step into a sunny dining room furnished in brown, wood and leather. 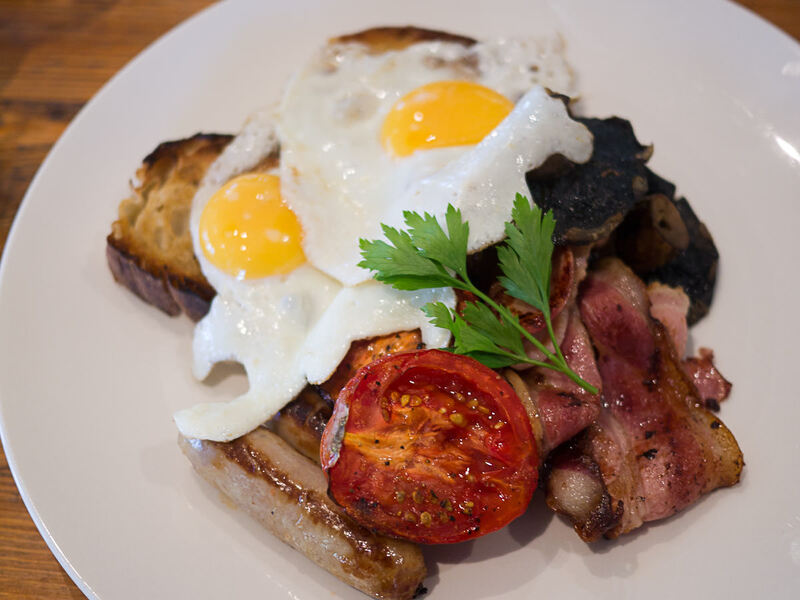 Craig orders Stewart’s Rather Large Breakfast (AU$18), which consists of 2 eggs (he chooses fried), pork chipolatas, smoked bacon, tomato, roasted mushrooms and toast. 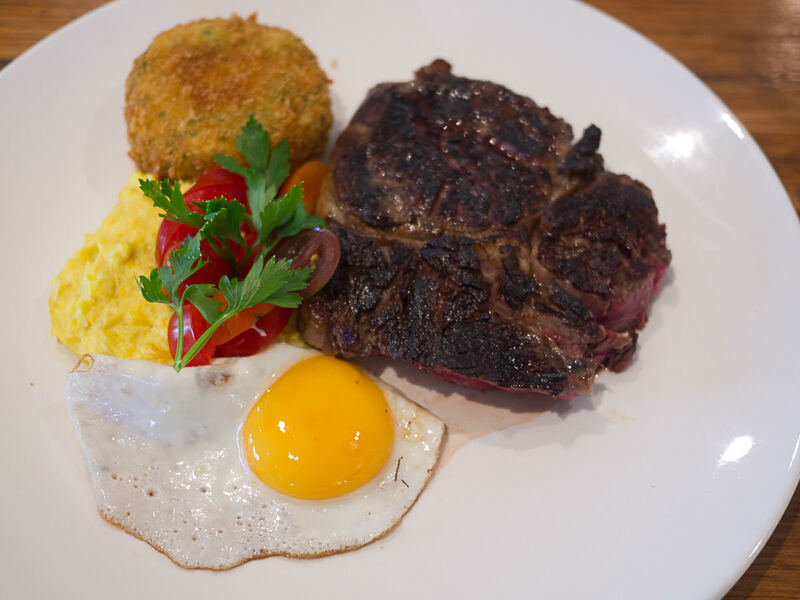 Jac and Caroline both order the grilled steak with creamed corn, bubble and squeak, fried egg and tomato relish (AU$23). We’re all surprised and impressed to see quite a hefty piece of steak on each plate. The bubble and squeak isn’t really bubble and squeak (traditionally, a panfried dish made leftover vegetables, such as cabbage and potato). What we have instead is a crispy crumbed potato cake with fluffy parsley-flecked potato inside. The poor potato cake must have an identity crisis by now (regular readers will remember it’s also been called a hash brown). Jac’s steak is cooked a perfect tender medium rare. The creamed corn is gorgeous. I’ve got a serious case of dish envy. 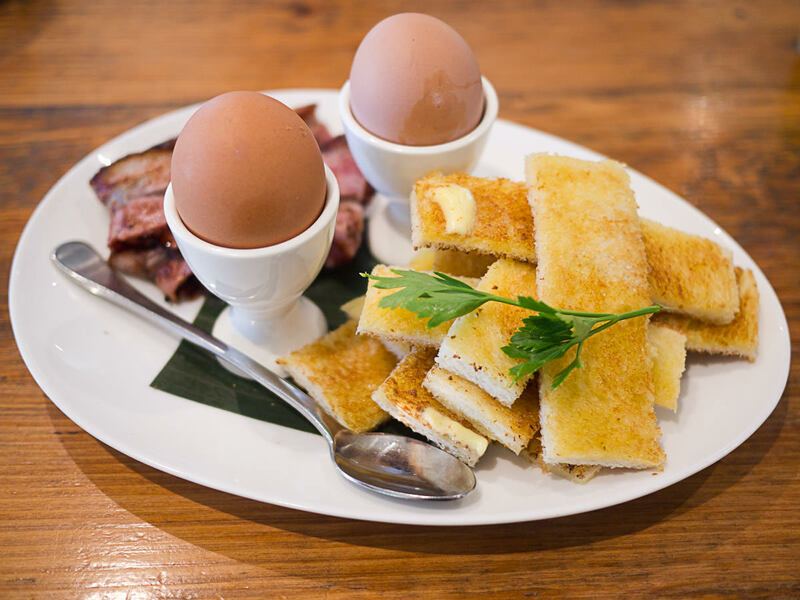 I order the soft boiled dippy eggs and hot buttered soldiers (AU$12). It looks fantastic, served on an egg-shaped plate. I’ve also ordered a side of bacon (AU$4). So far you’ve seen beautiful perfectly fried eggs with soft, gooey bright yolks. 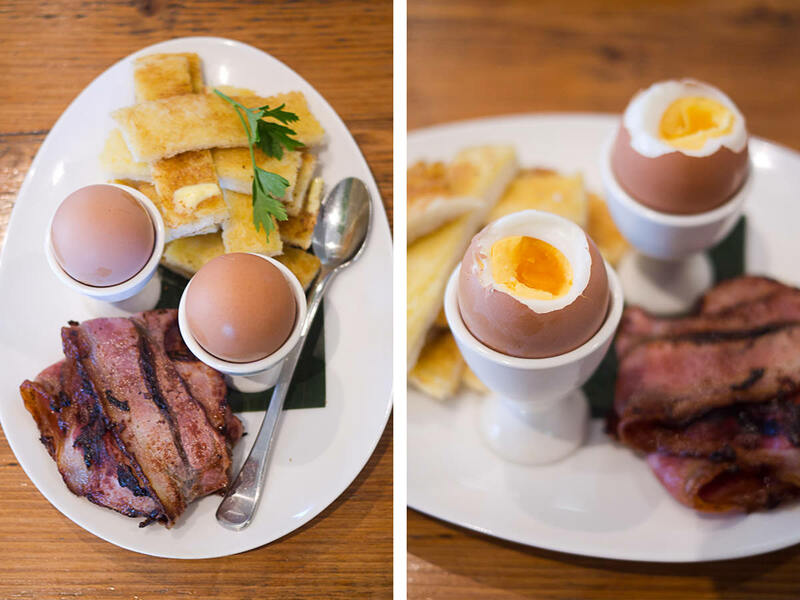 Unfortunately, the “soft boiled dippy eggs” are neither soft boiled nor dippy – they are definitely hard boiled and dipping will be impossible. Soft boiled dippy eggs FAIL! After cracking both eggs open I decide to eat them anyway rather than send them back because 1) I’m hungry and don’t want to be waiting any longer for my food 2) I don’t want to wait for new eggs and then have to play catch-up with the others and have them waiting for me to finish eating and 3) disregarding the fact they are supposed to be soft boiled and I can’t dip my soldiers into them, I do like hard boiled eggs. Failed soft boiled eggs aside, it’s a lovely breakfast and great way to start our day. 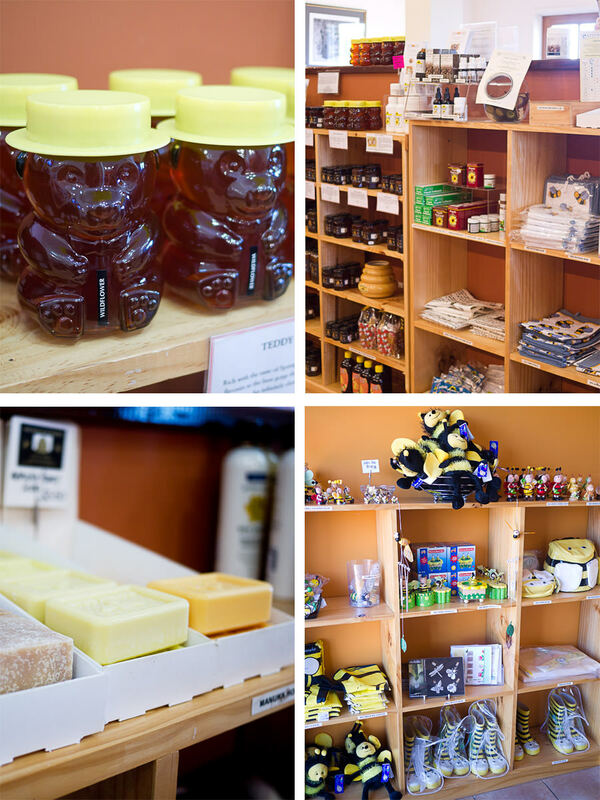 We get back in the car and drive along Great Northern Highway to The House of Honey. 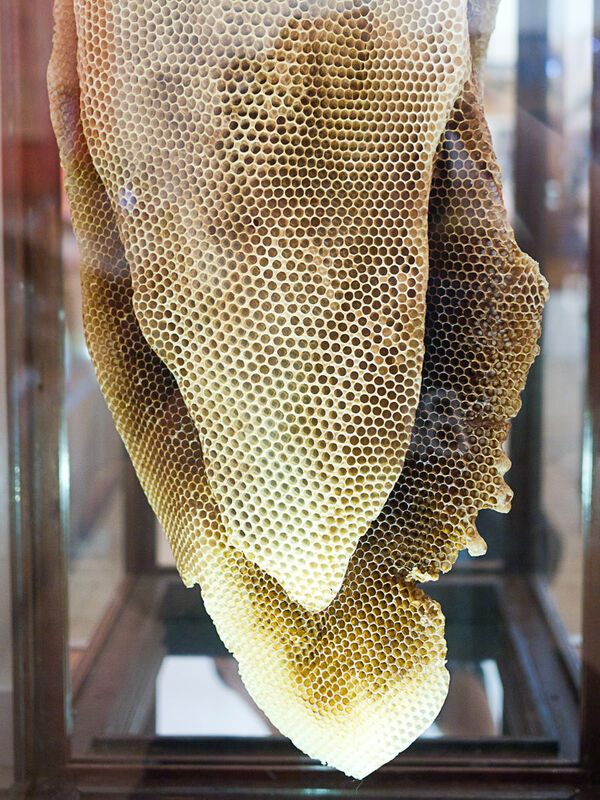 The honey shop is a showcase of honey and bee-related items, with different varieties of honey, honeycomb, royal jelly, candles and beauty products, books, even boots, figurines and soft toys. As we walk in, the friendly staff serve up free samples of sparkling honey water, a refreshing drink that’s like a honey lemonade (it tastes as divine as it sounds!). They point out the honey tasting station, inviting us to try the different honeys on offer. We don’t hesitate! We try varietal honeys including jarrah, karri and red gum, and infused honeys including vanilla, cinnamon, ginger, lavender, chilli and truffle. 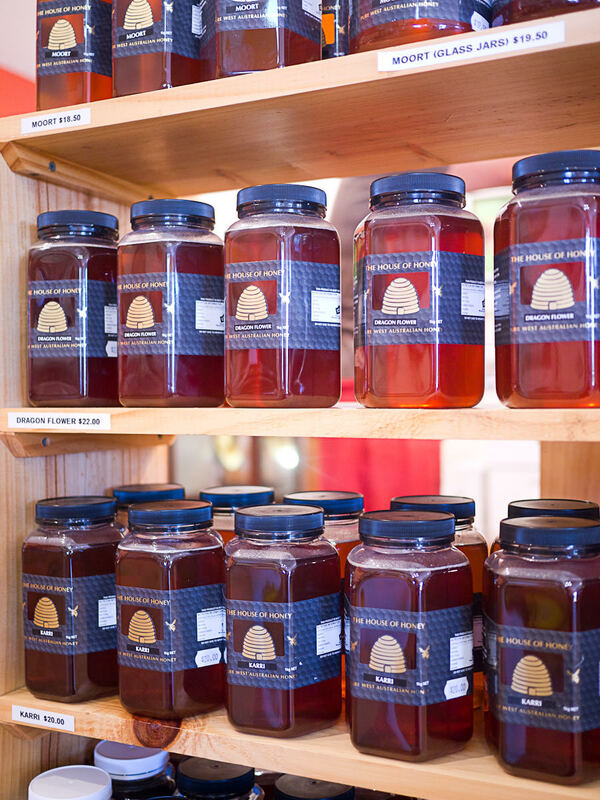 The cinnamon honey’s a winner – we buy some to take home. I’m already dreaming of cinnamon honey on buttery toasted crumpets and cinnamon honey on pancakes. Honey scones served with strawberry jam, cream and a pot of honey are tempting but we’re a little too full for Devonshire tea. But I must have some housemade honey ice cream. The taste of honey is definitely there, but it’s quite subtle. Not as sweet as I thought it would be. I really like it. Craig and Caroline share a scoop of honey ice cream with honeycomb. 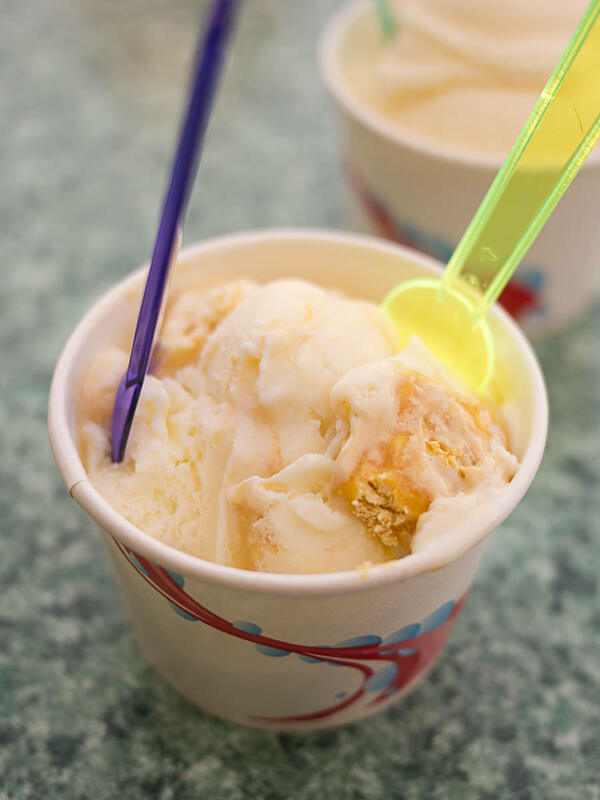 It’s got a stronger honey flavour than the original honey ice cream, thanks to the chunks of crunchy honeycomb. 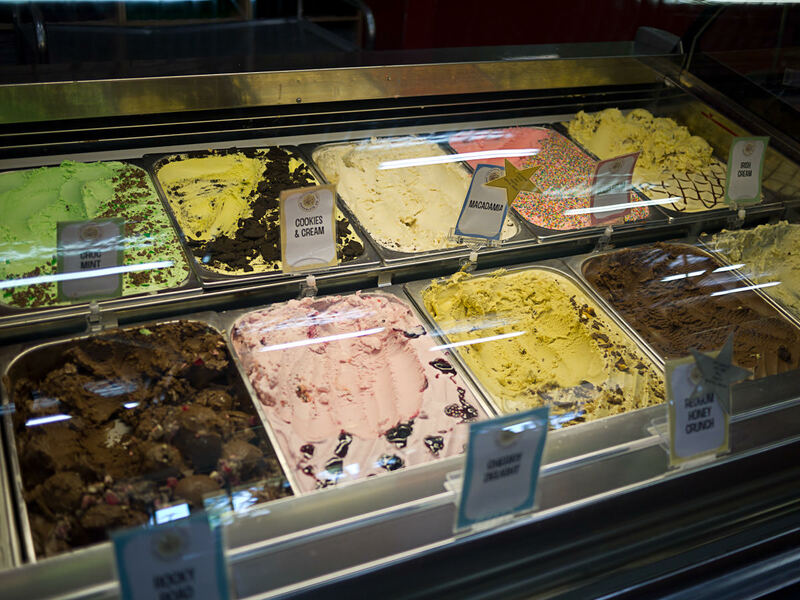 In addition to honey ice cream and honey ice cream with honeycomb, there’s honey ice cream with Smarties and honey ice cream with macadamia nuts. 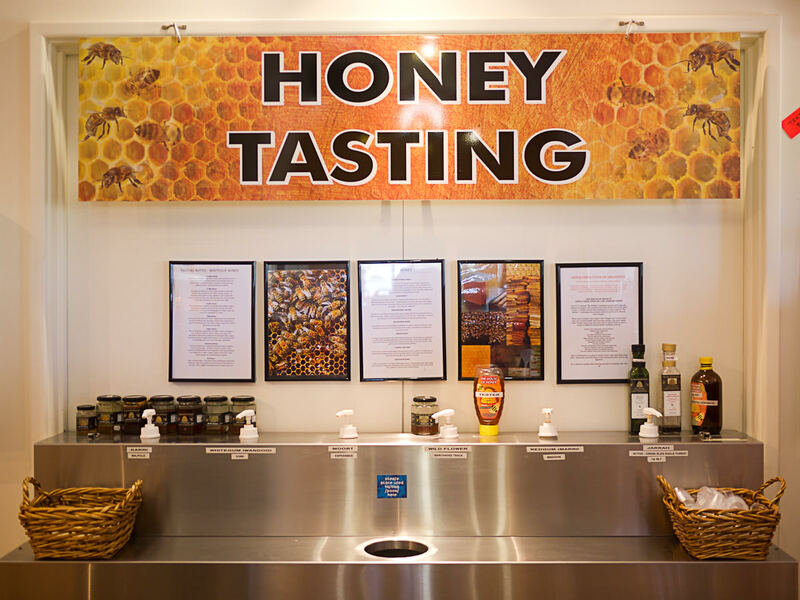 If you like honey, it’s definitely worth stopping at The House of Honey, especially for honey tasting and honey ice cream. 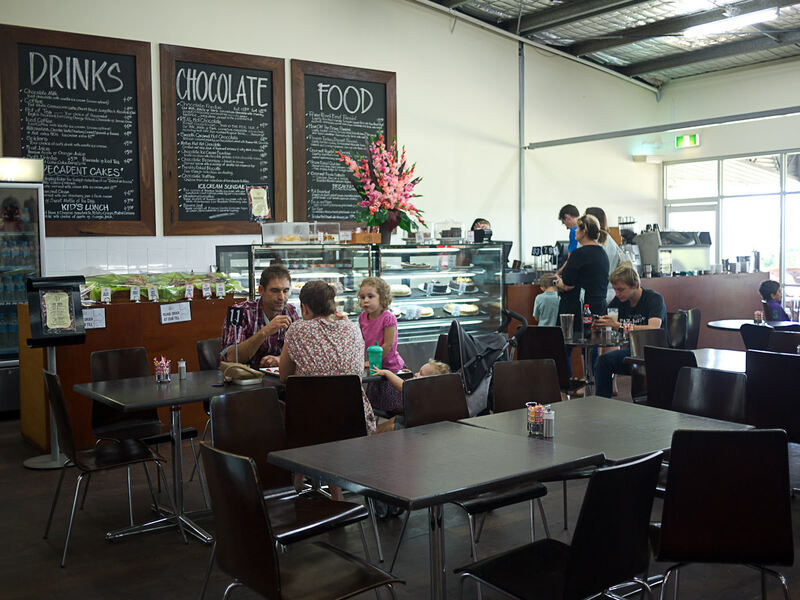 You can enjoy morning or afternoon tea in the air-conditioned Sticky Spoon Cafe or sit at a table out the front or in the garden. 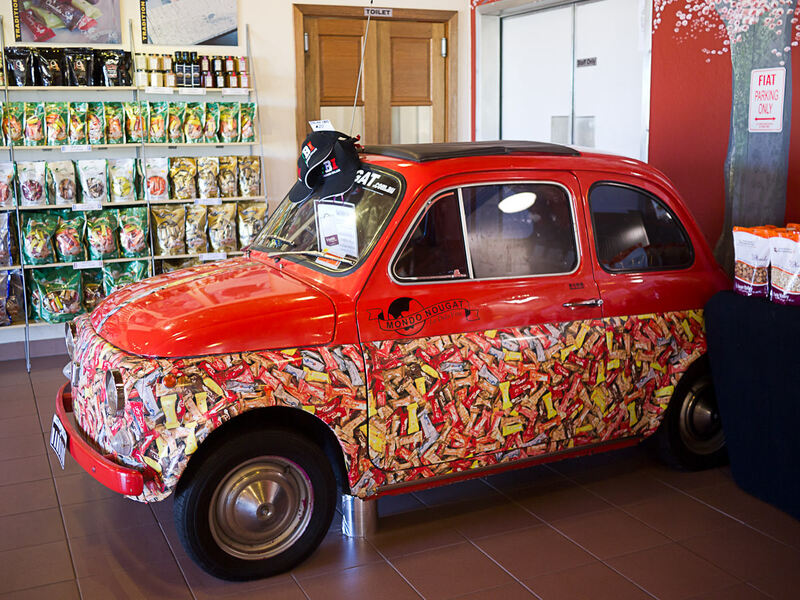 Mondo Nougat began as Mondo Patisserie, a producer and retailer of traditional Italian specialties including cakes, biscuits and ice cream. 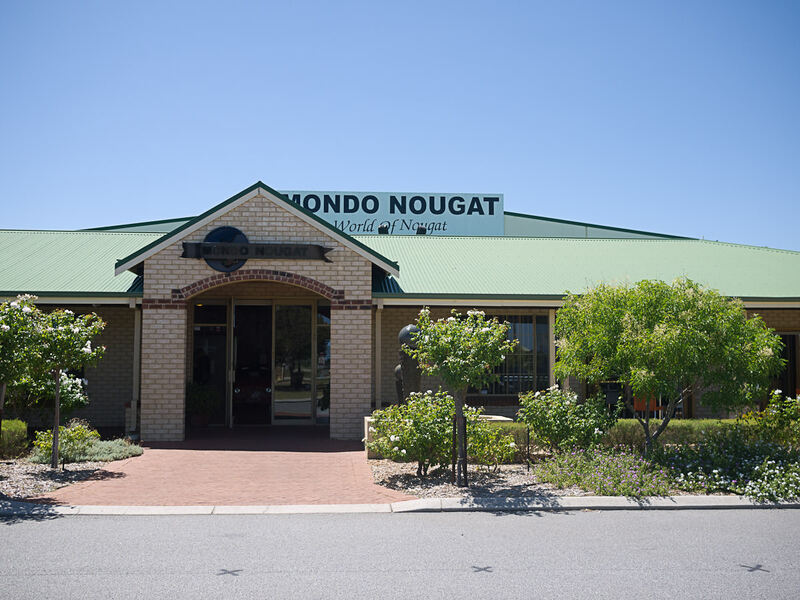 Traditional Italian nougat was just one of the Mondo Patisserie’s creations but it proved so popular that Mondo Patisserie shifted its focus to become Mondo Nougat, with the nougat factory in the Swan Valley opening to the public in 2005. 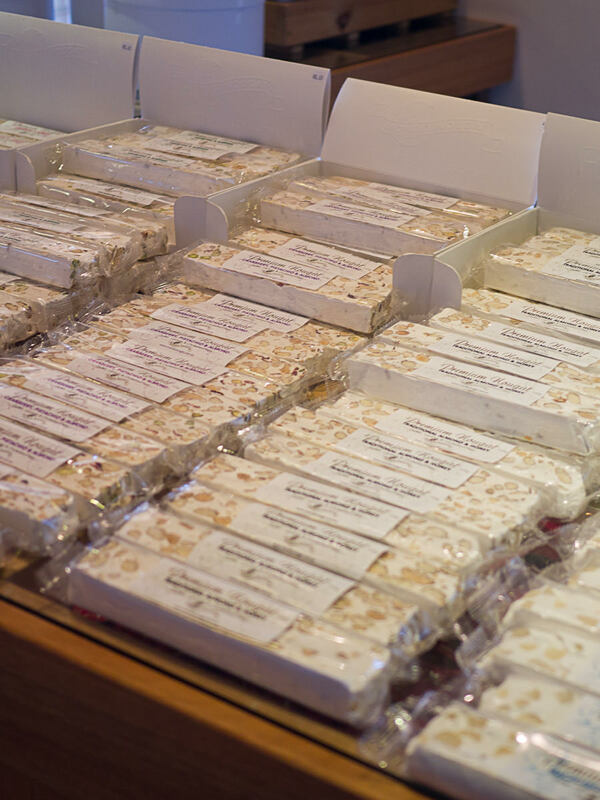 Mondo Nougat makes and sells many varieties of nougat, made with honey and roasted almonds. Crunchy and chewy varieties are available (I prefer chewy). Mondo nougat is gluten-free and the plain and dark chocolate-coated varieties are lactose-free. 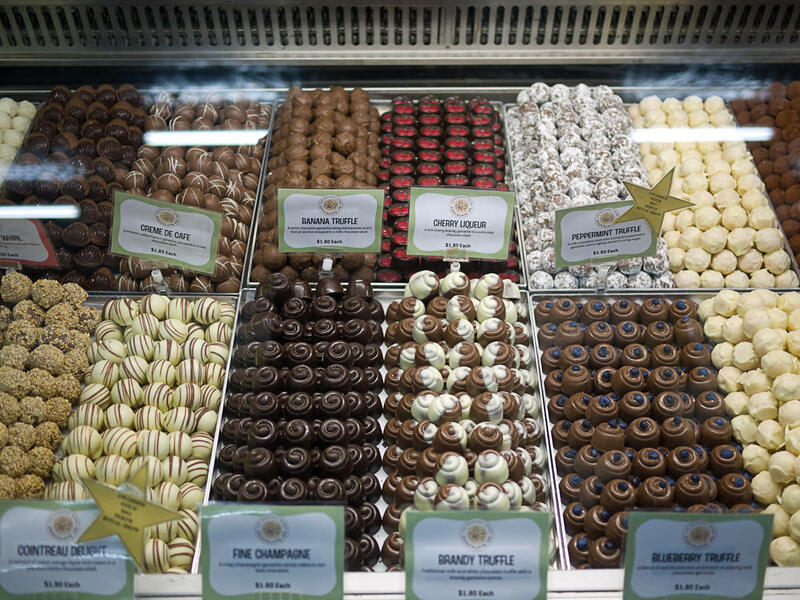 The airy cafe features a tempting array of homemade Italian pastries, cakes and biscotti, the items Mondo Patisserie was famous for before focusing on nougat. 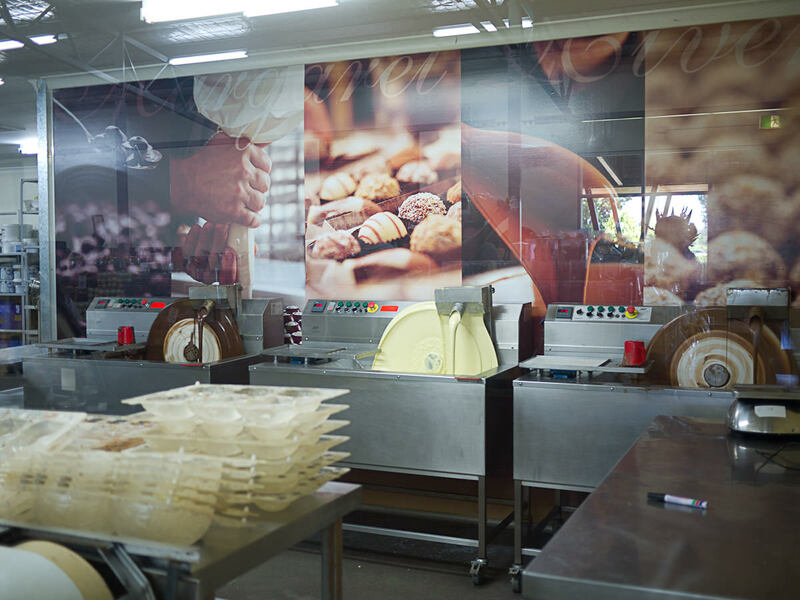 If you’re not content enjoying coffee and Italian pastries or shopping for nougat, you can also watch nougat being made in the factory through the viewing window. 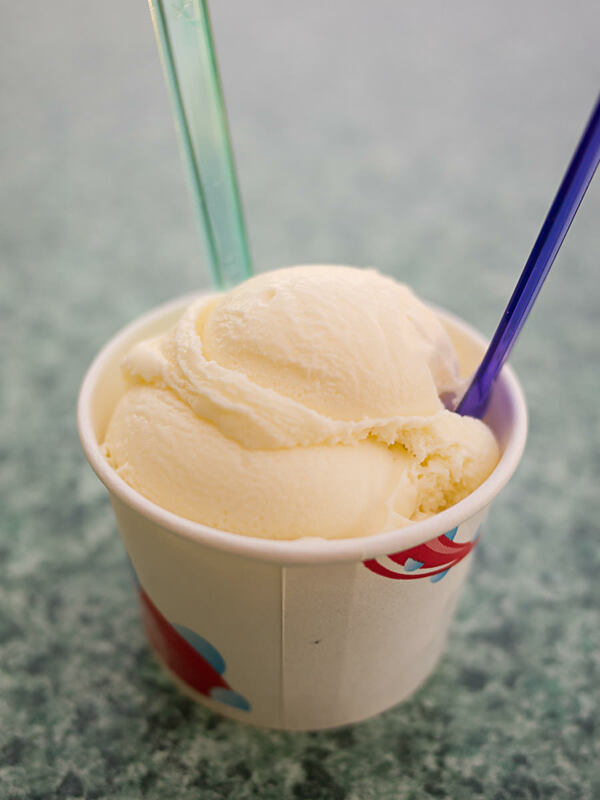 There’s Mondo nougat-flavoured gelato too. 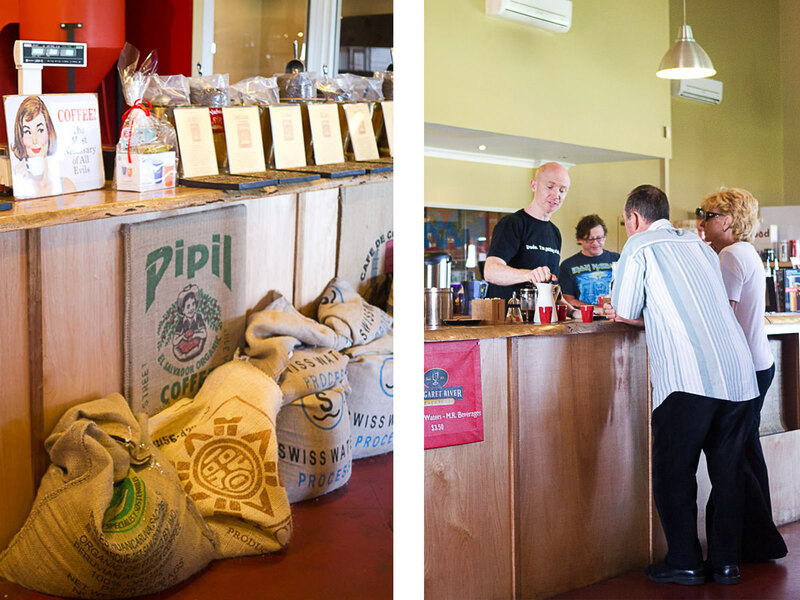 We’ve been to a honey haven, a world of nougat and now a kingdom of koffee – Yahava Koffee Works. Yahava sources coffee beans from around the world and roasts them to order. You can take part in a coffee appreciation session and learn about coffee growing, harvesting and roasting, as well as enjoy coffee tastings. 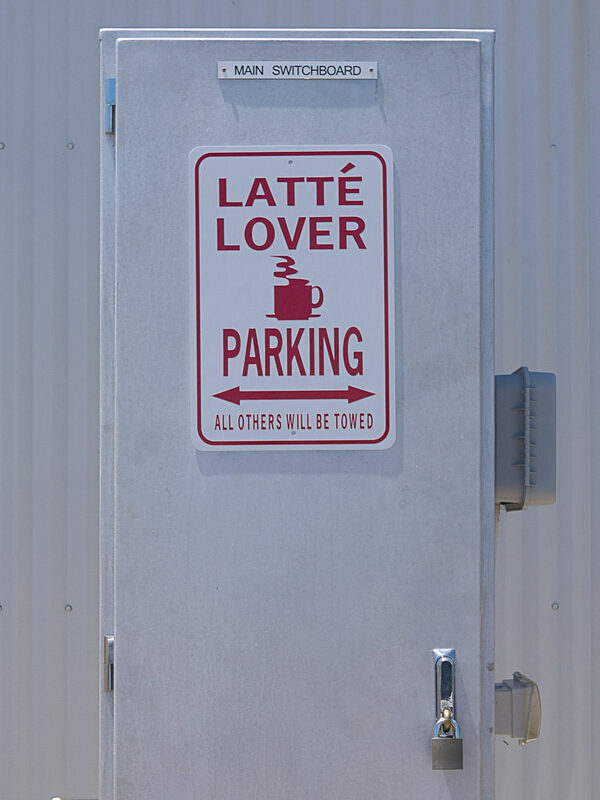 There’s a wide range of coffee-related products for sale – cups, plungers and coffee beans, including chocolate-covered. 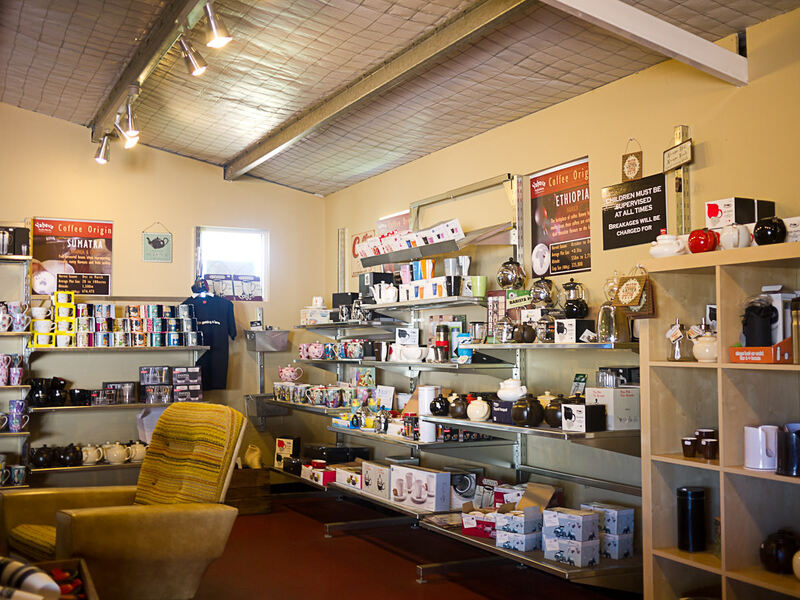 Tea lovers will also find a fine selection of tea, teapots, infusers and other tea-related items. Peppered throughout the store are tables and comfy seats for you to sit with friends and enjoy a coffee. More seating is available outside on the lawn. 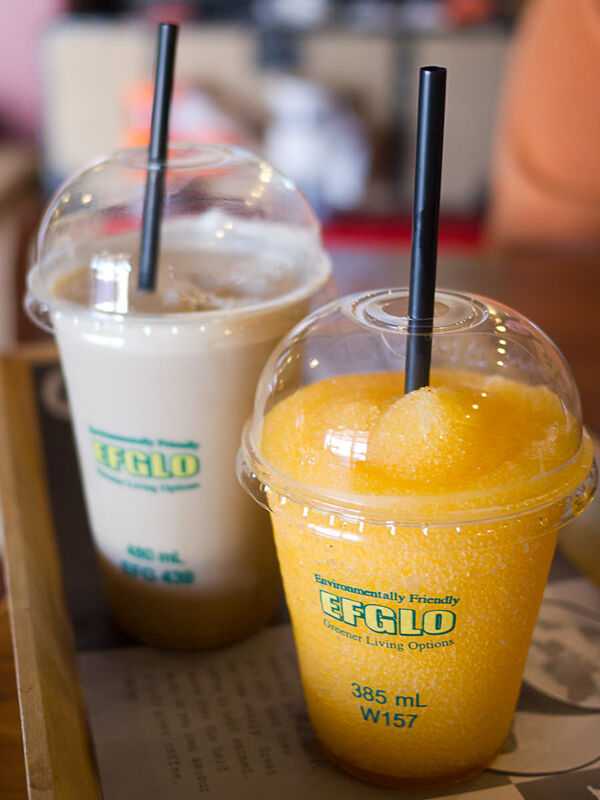 It’s such a warm day we decide to get cold drinks rather than hot coffee at the cafe – I choose a tropical frappe while the others order iced coffee frappes. 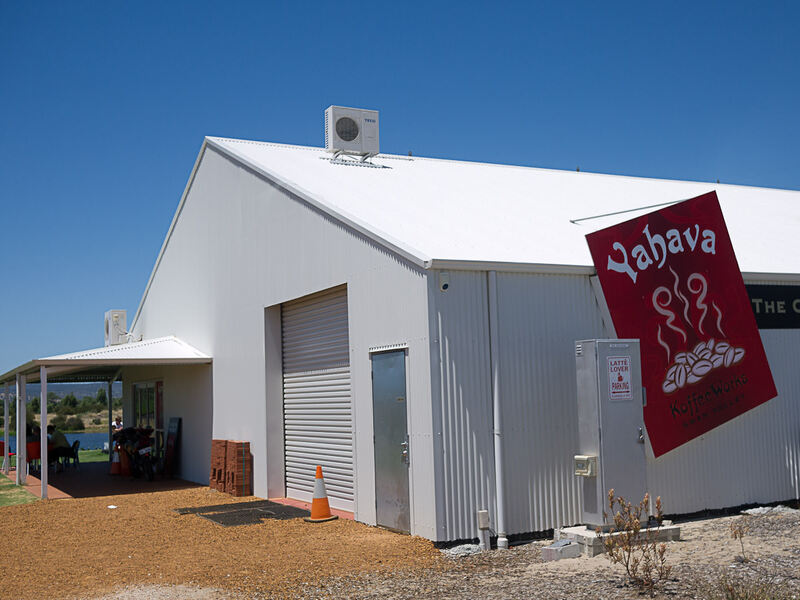 Find Yahava Koffee Works in Busselton and Margaret River or track down the Mobile Koffee Van. 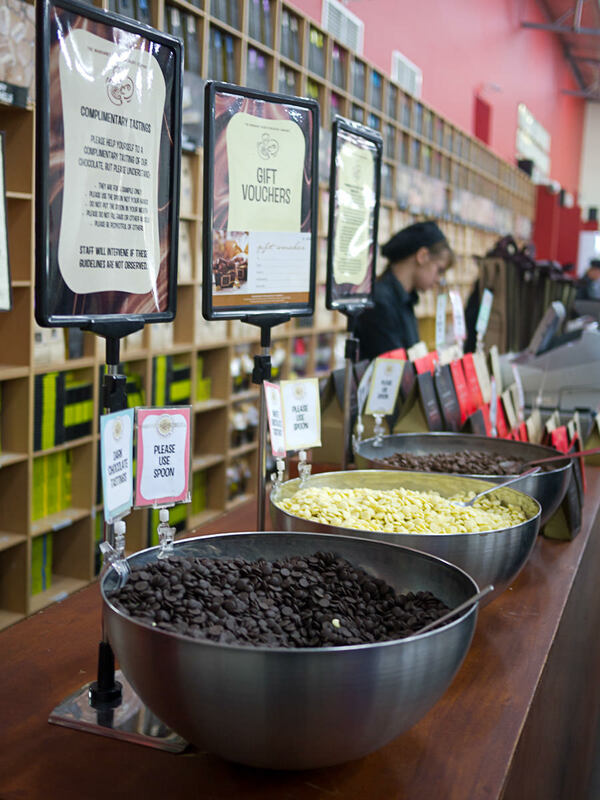 As you walk into the Margaret River Chocolate Company store, it’s hard to miss the three big silver bowls filled with free milk, dark and white chocolate buttons. You’re supposed to use the supplied spoon, but most people load up with multiple scoops, walking away with big handfuls of chocolate. We notice children picking dropped chocolate buttons off the floor and eating them (and their embarrassed mums telling them off, mortified that others in the shop have noticed). 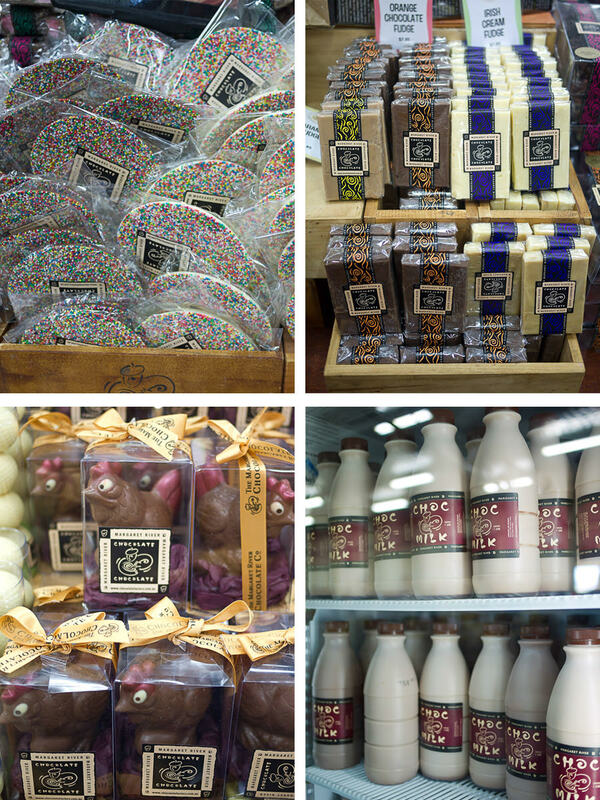 Chocolate lovers will enjoy taking their time to browse through everything in the store. 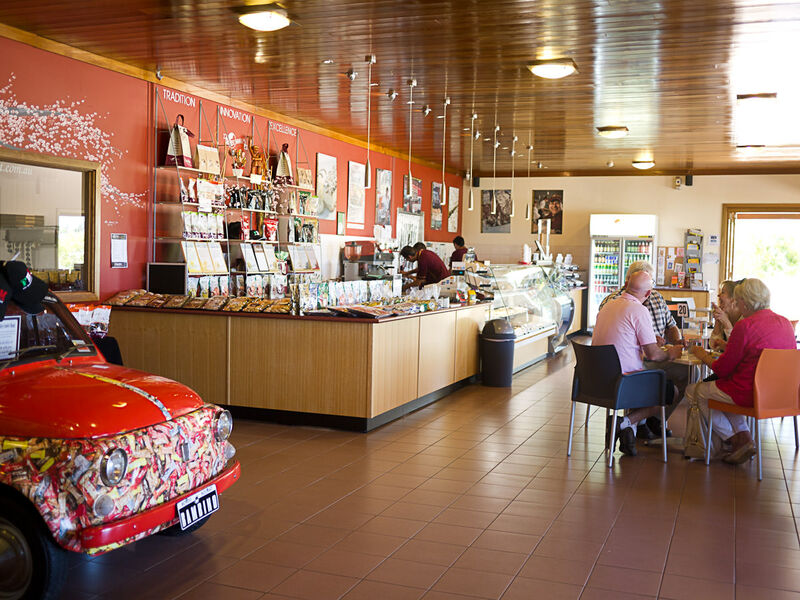 You can enjoy a light lunch, morning or afternoon tea at the Chocolate Cafe. 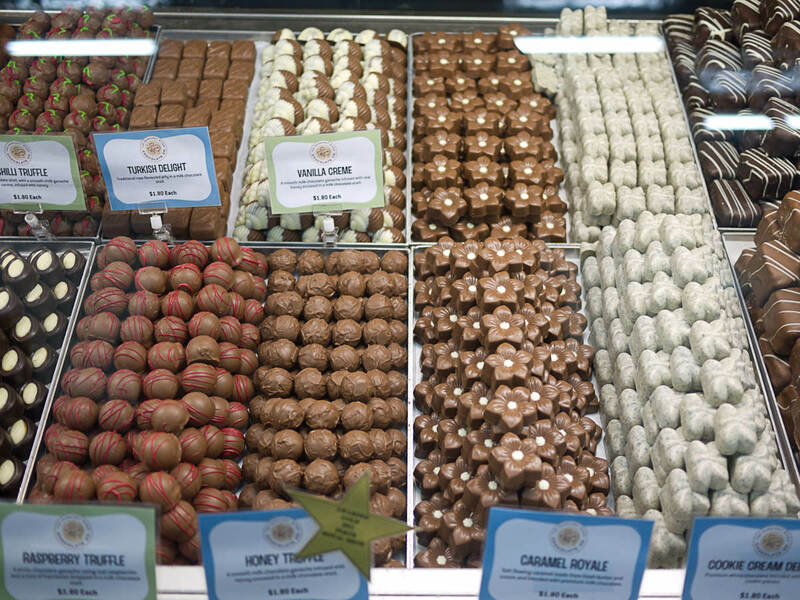 There’s a whole menu dedicated to chocolate, including chocolate fondue, ice cream sundaes and hot chocolates made with couverture milk, white or dark chocolate. 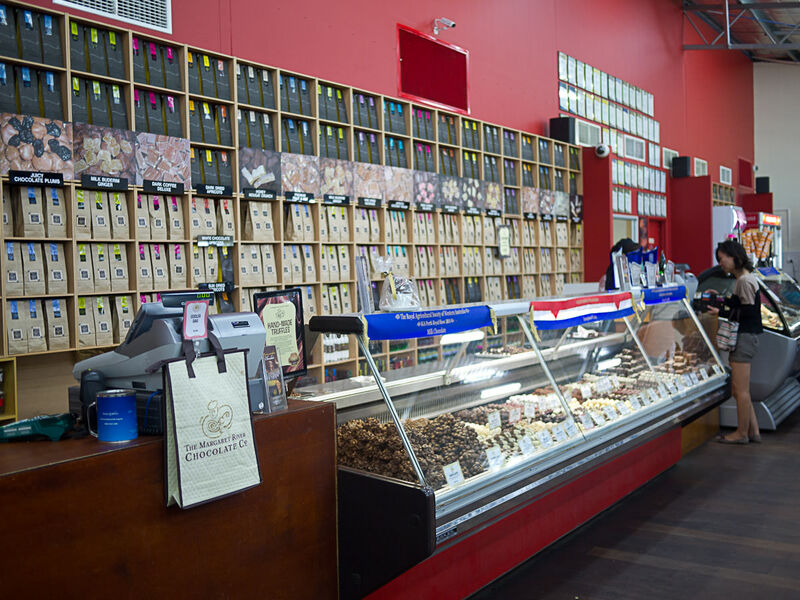 Definitely a place for chocolate lovers to visit, though for many, the new Perth CBD store may be a little easier to get to! 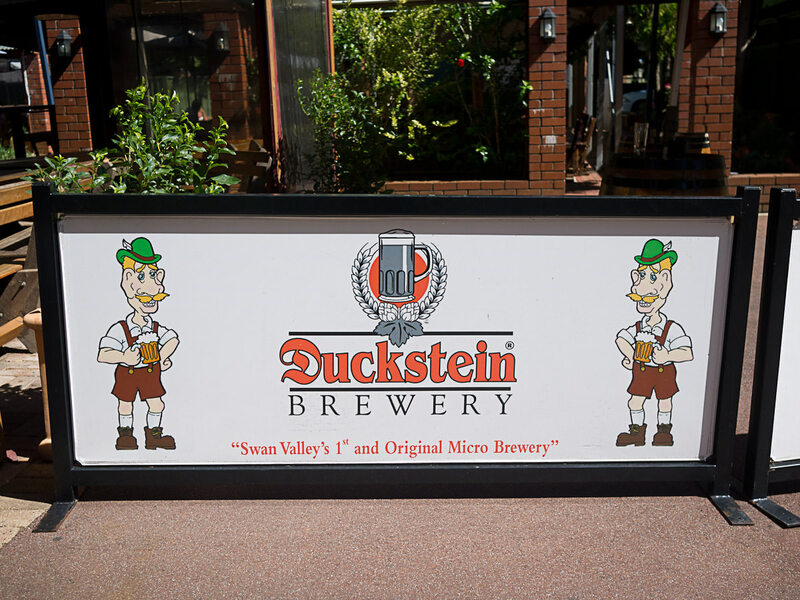 Craig and Caroline are keen to check out Duckstein Brewery for lunch. 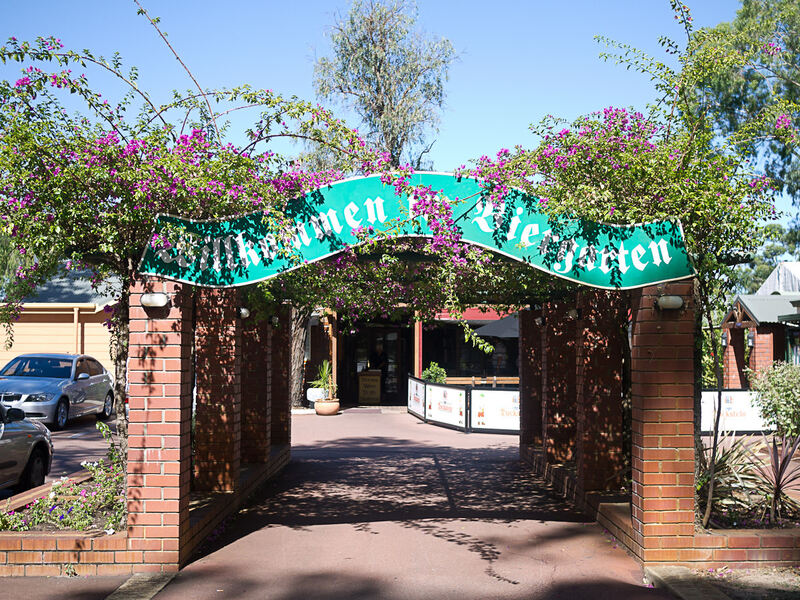 Jac and I have been here years ago and really enjoyed the traditional German food. 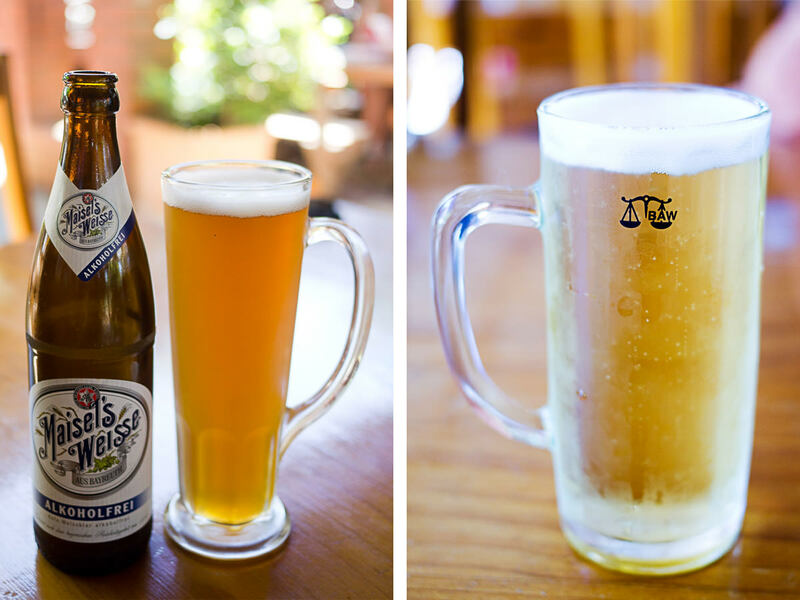 Cold beer, good company and soon, delicious food. Well, maybe not quite so soon. The first sign that something’s gone wrong with our order is the non-appearance of Craig’s vanilla milkshake. After Craig chases it up, a milkshake is promptly made and delivered with a refund and apology. Our food is taking an awfully long time but initially we assume that’s because the restaurant is visibly busy – the queue to place food orders was very long. 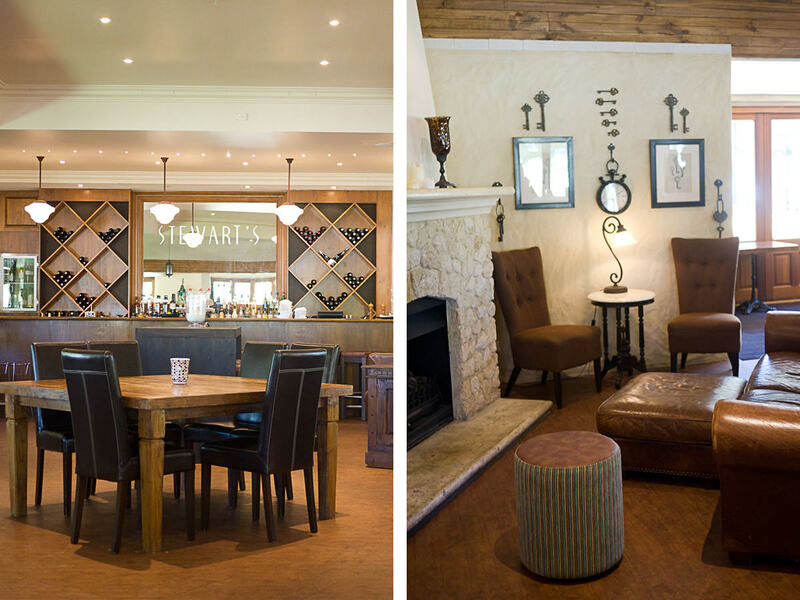 We’re happy to sit and chat – we have lots to talk about. But when we start seeing food being delivered to people who arrived after we did, we check on the progress of our meal. “Your food’s coming up next,” we’re told. But the next meals coming out of the kitchen are not ours. We’re still waiting, and more meals are going out to people who arrived much later than us. We check again with a staff member, and as it turns out, our order never made it to the kitchen (so no, our food was never “coming up next” and would have never come at all, had we not followed up). The staff are very apologetic and assure us our meal is now being prepared. We’re also given a $30 voucher to spend on our next visit. When our food does eventually arrive, it’s great. 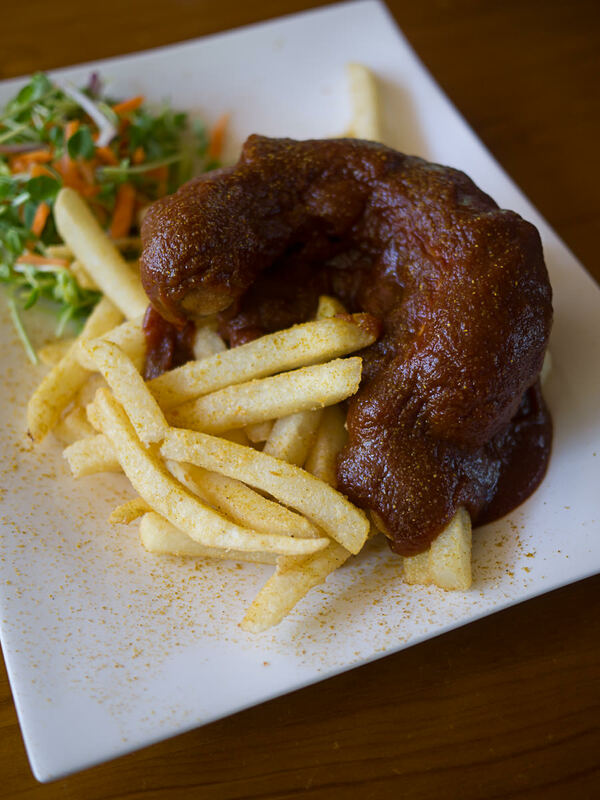 Jac has ordered the curry bratwurst with fries and curry sauce ($23). The sausage is smothered in a thick curry sauce that’s more sweet than spicy, with sprinkling of curry powder. The curry sauce makes a great dipping sauce for the fries. 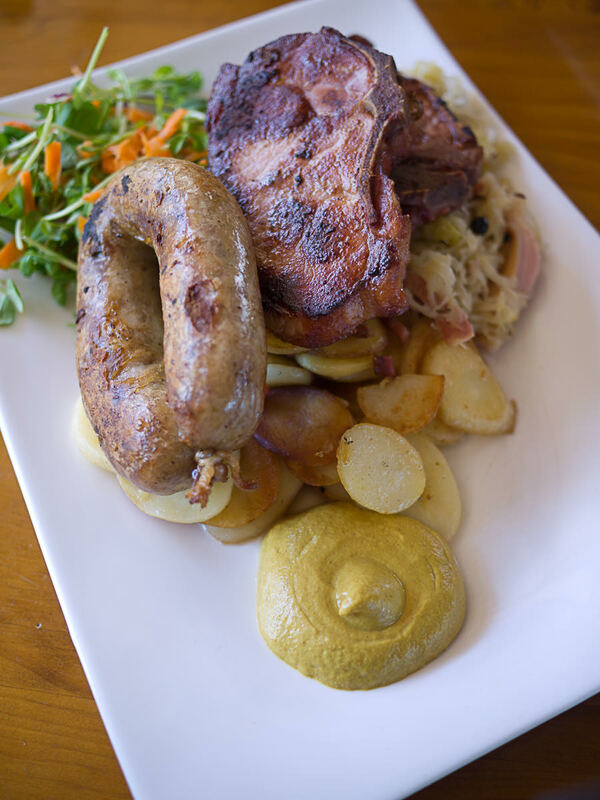 Craig and Caroline share the grill plate (AU$31.50), which consists of a bratwurst sausage and a juicy smoked pork cutlet served with panfried potatoes and sauerkraut. It looks and smells amazing. The sauerkraut has fatty pork and juniper berries in it. Yes, I note the mustard’s startling resemblance to cat poo. 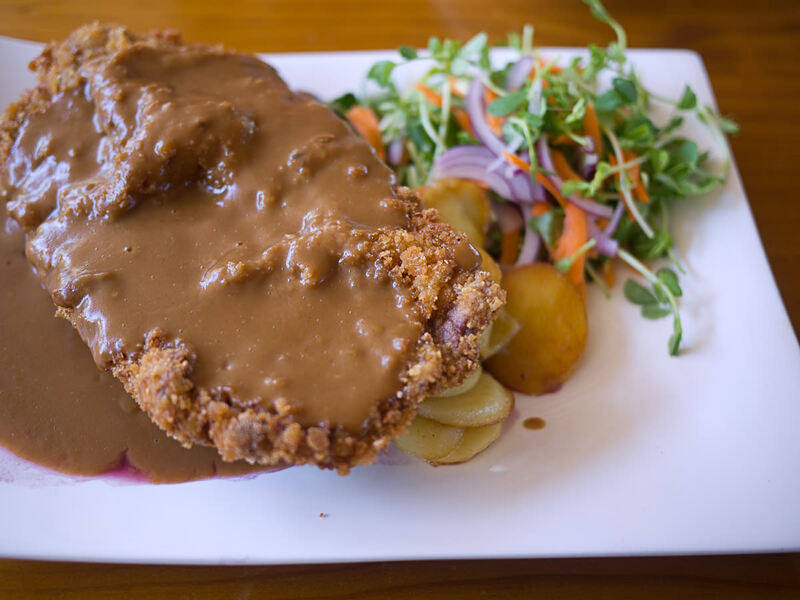 I order the veal schnitzel topped with creamy mushroom sauce, served with red cabbage and panfried potatoes (AU$31). It’s a hearty, satisfying plate of food. The order stuff-up and long wait to eat aside, we’ve enjoyed our meal. I’m sure we’ll be back. 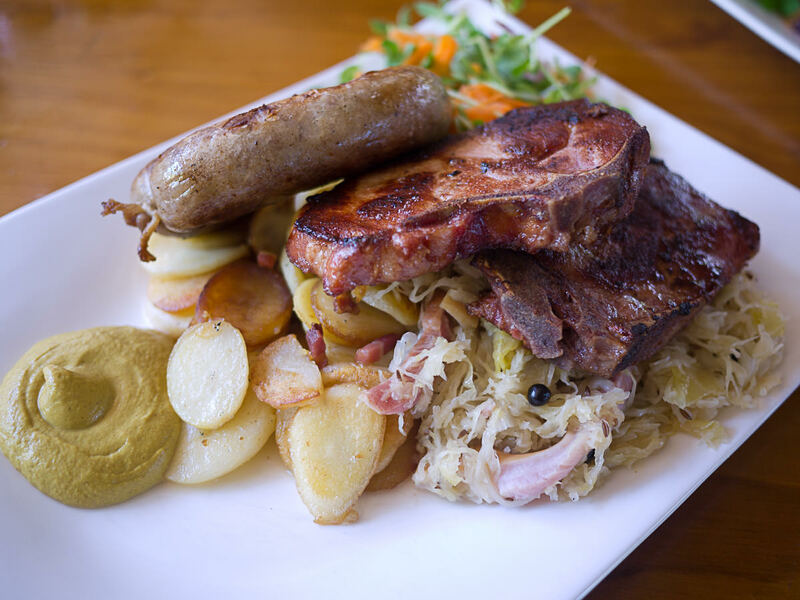 The plates are piled high – make sure you come hungry! 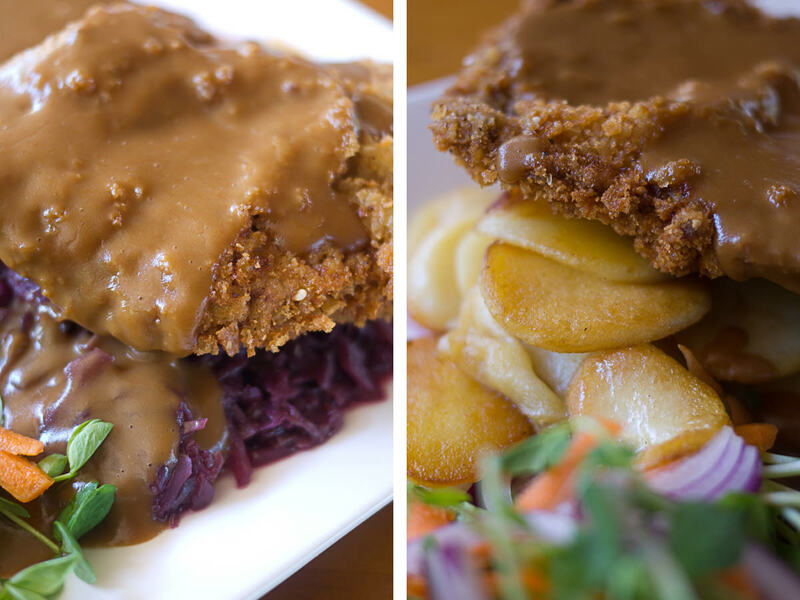 Meat lovers will be thrilled – most dishes feature sausage, pork or schnitzel; vegetarians should probably give it a miss. 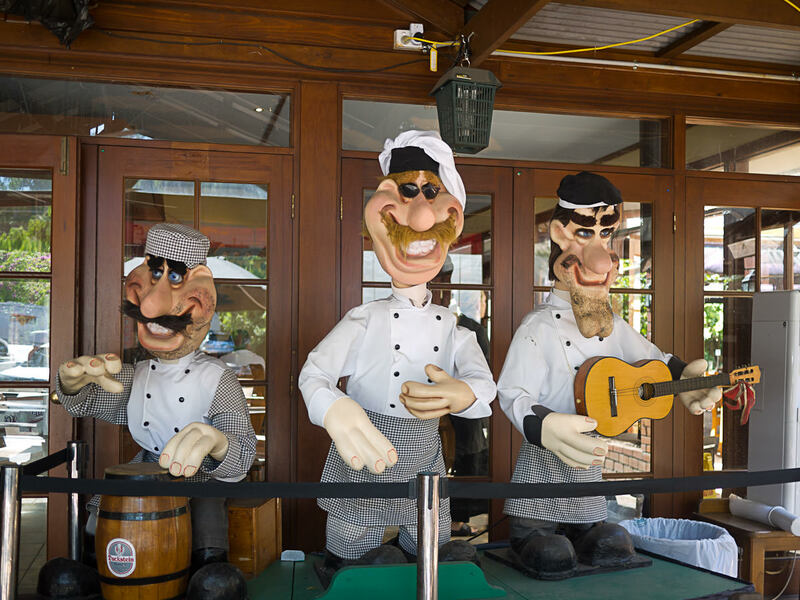 These animatronic “musicians” are kind of creepy! 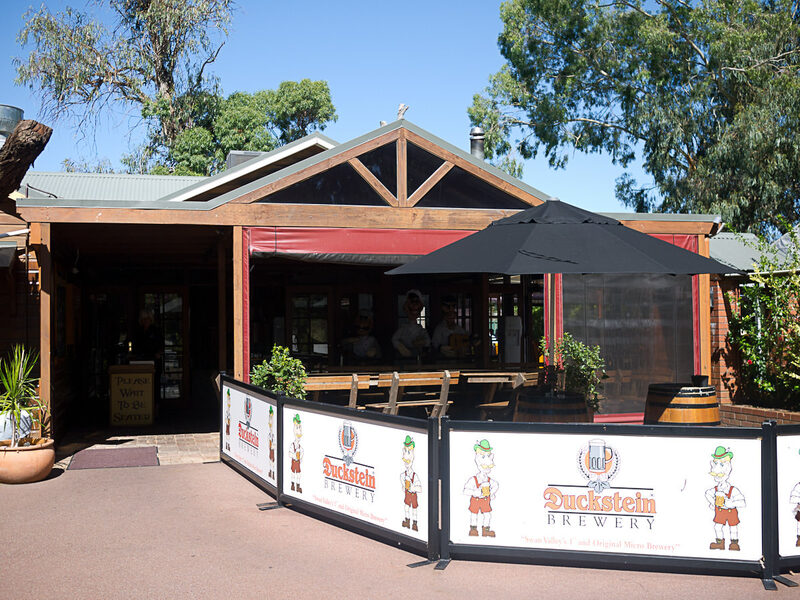 Duckstein Brewery is also in Margaret River, at Saracen Estates. 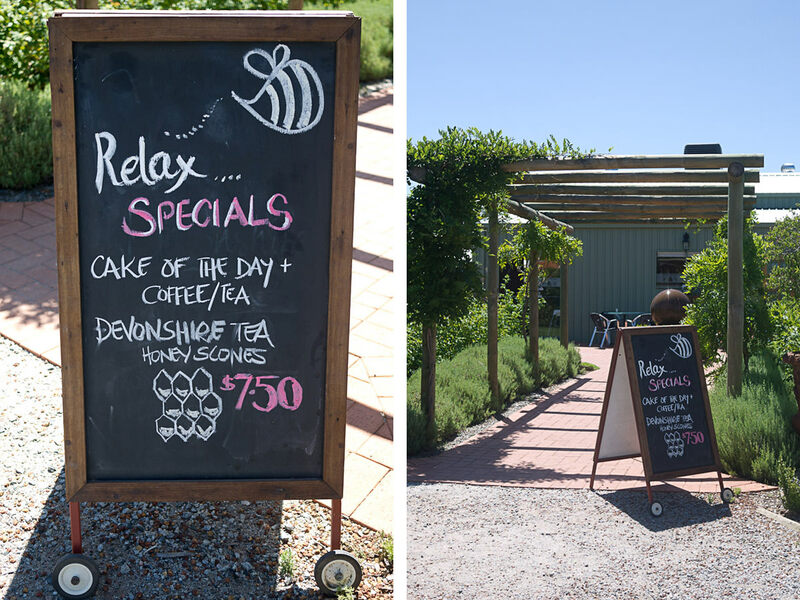 This post is not intended to be a definitive guide to the Swan Valley – there’s so much to see, do, eat and drink in the Swan Valley you couldn’t possibly cover it all in a day. 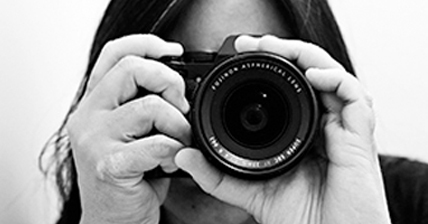 Get a copy of the Swan Valley Food and Wine Trail (1.51MB PDF) and visit Swan Valley website for more information and inspiration to design your own tour of the Swan Valley. 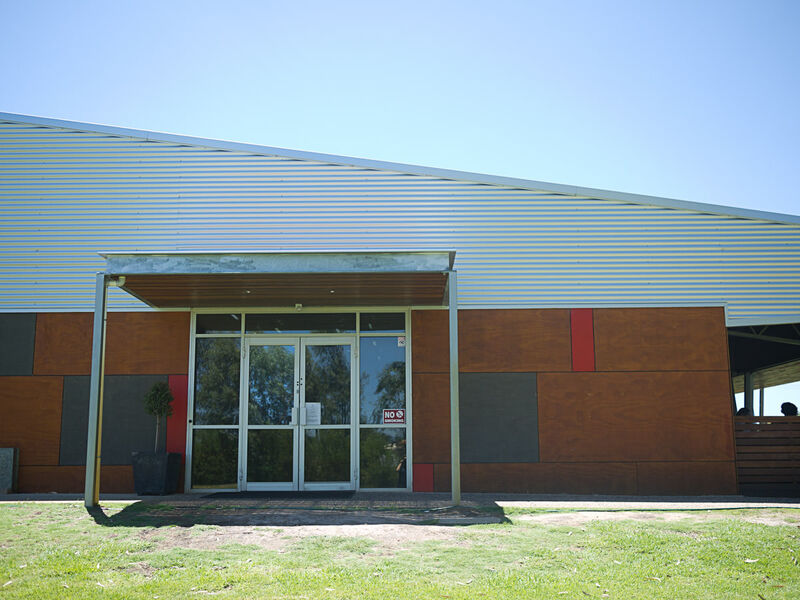 The Swan Valley website also includes suggested itineraries and walking tour maps.